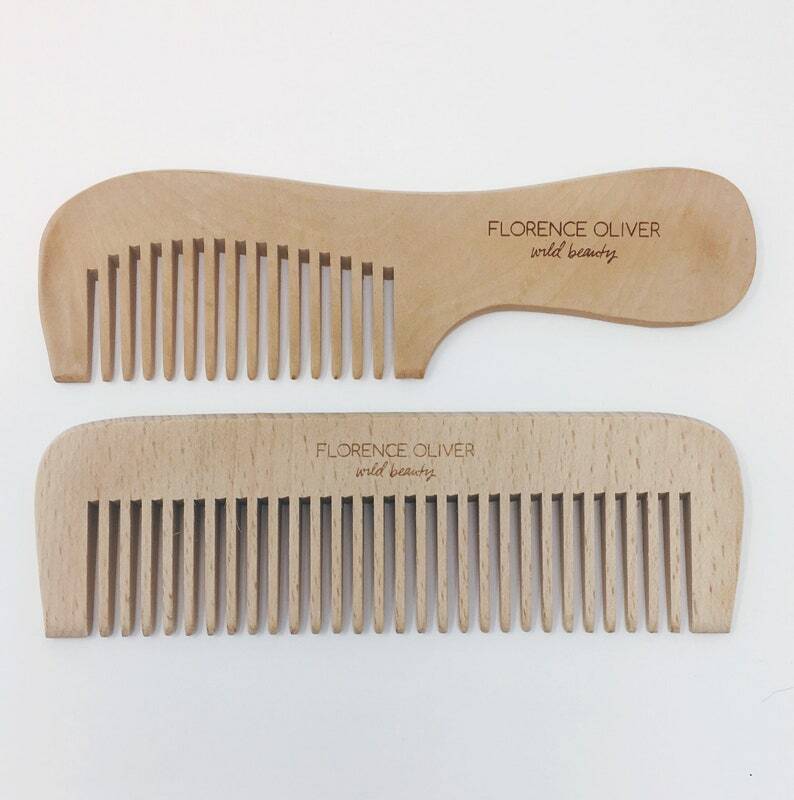 Lightweight wide tooth Peachwood combs with our Florence Oliver logo. Each comb is handmade and will vary due to the natural appearance of the wood. Your choice of 1 comb. Round handled comb -- about 7.25" length x 2" width. Long comb -- about 6.5" length x 2" width. Protect your comb from direct sun exposure, heat, or excessive moisture as these may cause the wood to soften and change shape or may cause discoloration.